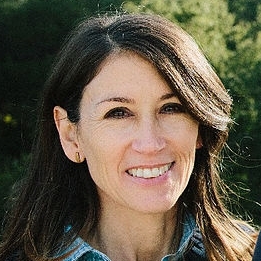 Dana Bowden has worked in education in Los Angeles since 1995. She taught elementary school for seven years before helping to design and open the Los Angeles Leadership Academy, a charter middle school dedicated to developing leaders for social justice. There Dana spent five years refining and teaching a workshop-based English/Language Arts curriculum. She team-taught with two colleagues in a multi-age classroom serving students whose average reading level as incoming sixth graders was early second grade. In their first year in the program, these students gained an average of two-and-a-half grade levels. Dana earned her BA in Psychology and African-American Studies at Yale University and her MA in education from Chapman University. She holds a multiple-subject teaching credential as well as a single-subject credential in English. Dana has participated in eight institutes with the Teachers College Reading and Writing Project at Columbia University, the Stanford University School Redesign Network’s Small Schools Study Tour, and the humanities and diversity institutes at Phillips Exeter Academy. She has received training from Lucy Calkins, Ellin Keene, Nancie Atwell, and Steven Krashen. Dana taught at the Pasadena Unified Professional Development Center and has worked since 2001 as a presenter and coach for UCLA’s Center X. She has lectured at Charter Schools Development Center, Otis College of Art and Design, and UCLA. She has served as an instructional coach for Partnerships to Uplift Communities Charter Schools, and as a master teacher for students from the University of Southern California and Pacific Oaks College. She leads Powerful Choices’ work with upper-elementary and secondary teachers. Teaching for justice has been Kate’s passion for more than twenty years. Working mostly in South LA and Boyle Heights, she has striven to bring best practices to high-needs populations, supplementing and supplanting mandated curricula with choice-based pedagogy including reading and writing workshop. Kate has an MA in reading/language arts and holds a reading specialist credential. She is a UCLA Writing Project fellow and is National Board Certified. Kate is as dedicated to teacher development as she is to her work with children: she has served as a Cotsen mentor, a writing workshop staff developer, an intervention coordinator, a faculty advisor for UCLA's Department of Education, and an adjunct professor in reading methods at Antioch University. In an effort to bring her love of reading and writing to families, she has taught Spanish-language literacy workshops for parents and has co-led “Family Writing Night” sessions. Kate leads Powerful Choices’ work with primary teachers and dual-immersion schools. Cindy Peña-Sperger has served southern California students, teachers, and families for two decades as a balanced literacy teacher, bilingual instructor, and school administrator. She started her teaching career as a primary teacher, bringing reading and writing workshop to a multi-age classroom of children from diverse backgrounds. Her commitment to serving high-needs communities later led her to the Pico Union District in Los Angeles, where she taught in a bilingual Spanish/English classroom. Powerful Choices especially values Cindy’s experience as a school leader, including her work as an intervention coordinator, a literacy coordinator, a director of bilingual education, and an assistant principal. Cindy holds a BA from UC, Santa Barbara, and an MA and certificate in reading development from Claremont Graduate University. She is passionate about building capacity in teachers and providing them the tools to grow students into true readers and writers. As the child of immigrant parents, Cindy sees education as a path to freedom. She is dedicated to ensuring every child receives a powerful education, and continues to hone her teaching craft through private tutoring.